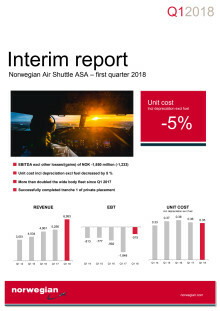 Norwegian today reported its first quarter earnings for 2018 with a result of NOK -46.2 million. The quarter was characterized by international expansion, strong passenger growth and higher fuel cost. A successful private placement of shares was completed this quarter.